Wrong Fuel in the Car Motorcycle? Be sure to call one of our qualified local engineers in St Helens. 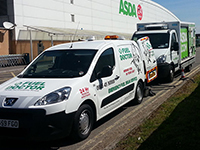 We have Fuel Doctors covering all the local areas in and around St Helens. We hope to be with you within an hour and our process of getting you back on the road are typically 15 - 30 minutes. 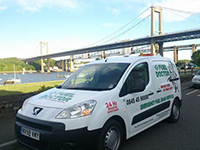 No matter where you are in the St Helens area, we have a Fuel Doctor near you. We will be with you within the hour and with you for around 15 minutes for the fuel drain. Don't panic, just call us. Everyday roughly 120 people will put the wrong fuel in their car in the St Helens area, whether its diesel in petrol or petrol in diesel. It's a very common mistake and easily done, we understand that you need us there fast and to get back on your feet to get on with you life. 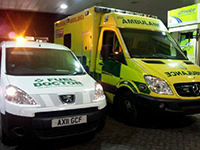 Fuel Doctor are a national company with technicians in St Helens on standby. 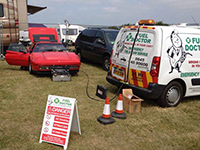 If you have put the wrong fuel in your car you can call us anytime of the day and you will have a dedicated local Fuel Doctor from the St Helens area to get you back up and running. Fortunately Fuel Doctor was on the scene 25 minutes later. The whole dilemma was solved inside of an hour and our superbiker was able to carry on with his day.
" I thought it was all over for my pride and joy... Fuel Doctor saved the day! " A Sunday drive out for a stunning 1967 MG Classic car ground to a halt in Tarleton, Lancashire on 30/4/17. A misfuel of Diesel into a Petrol engine was the fault. Fortunately the driver was recommended the services of Fuel Doctor by his Breakdown operator....The job was attended and the problem solved in under 2 hours. A musician got caught in an unfortunate misfuel situation after filling up their Renault Cleo with Petrol instead of Diesel at Costco filling station in Haydock. Nissan Juke stranded at ASDA St Helens after putting Diesel into the Petrol tank by accident.